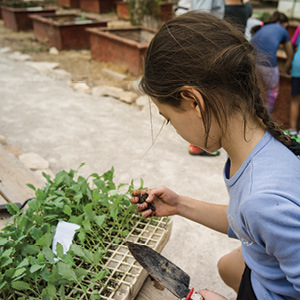 JDC’s HOME: Lens on Israel, a photography exhibit from Temple Emanu-El’s Bernard Museum of Judaica & Streicker Center in New York, showcases diverse communities that live side-by-side in Israel today, as well as the work of the American Jewish Joint Distribution Committee. The exhibit follows 11 photographers, including Tidewater’s Annie Sandler, to seven distinct stops where they explore various cultures and individuals who call Israel home, including communities with a focus on Israel’s elderly; Israeli Arabs and Bedouins; immigrant children from Ethiopia, the former Soviet Union, North Africa and beyond; the Haredi or ultra-Orthodox; Druze villages in Israel’s north; Israeli adults with disabilities; as well as a family celebration for Israelis of Moroccan Jewish descent­another symbol of Israel’s multifaceted population. For more information on this exhibit and the Leon Family Gallery, visit JewishVA.org/leon-family-gallery or contact Callah Terkeltaub, Arts + Ideas manager, at CTerkeltaub@ujft.og.